It wasn’t easy to get Professor Ed Rubel down to New Zealand due to his busy schedule, but finally, and thanks to support from the University of Auckland School of Medical Sciences, we did. Yesterday, Prof Rubel delivered a public talk at the Med School: “The 21st Century: A New Era for Hearing Habilitation”. Ed Rubel has a long trajectory, and has contributed to many aspects of neuroscience, ranging from how brains are put together in the embryo, how and when auditory processing is set up, how the way that neurons are connected determine how information is coded, and much more. But among all his contributions one stands out: the discovery that the sensory hair cells in the inner ear of birds can regenerate after damage. His team found this, as he describes, serendipitously in the mid 1980’s. In mammals, once the sensory hair cells are damaged due to noise exposure or chemical toxicity (like exposure to certain antibiotics), the cells are not replaced, and as a result, the hearing loss is permanent. Thus, the question is: what is different between birds and mammals that allows one, but not the other to repair their damaged ears? This answer has eluded us since then. There are basically two possibilities: One, that damage induces the mechanisms of repair in birds, but not mammals. The other is that the repair mechanisms are inhibited in mammals (and that damage removes this inhibition in birds). In order to get to the bottom of this, one would need to understand what are the cellular mechanisms that are either inhibiting or inducing hair cell replacement. And here is where the Rubel group in Seattle came up with a rather clever solution: Let’s look in the zebrafish. One reason to do this is that zebrafish, like many other fishes, have hair cells on the lateral line on the surface of the body in structures called neuromasts. And like in birds, fishes are able to replace these cells.There are two advantages to the zebrafish approach. First, because the neuromasts are on the surface of the body it is possible to load the sensory hair cells and support cells with fluorescent molecules and monitor what is happening over time with different treatments. Second, the genetics of zebrafish are well-known, which facilitates the identification and manipulation of genes to see what their effects are on the ability to regenerate those cells. Ed Rubel teamed up with David Raible’s group, and examined genes that may be involved in different susceptibility to induced hair cell death by neomycin, as well as what drugs that may confer protection to the hair cells. Their work was published in PLoS Genetics (doi:10.1371/journal.pgen.1000020) and you can go and read it thanks to the magic of Open Access. Variation in the genetic makeup between individuals plays a major role in establishing differences in susceptibility to environmental agents that damage the inner ear. […] The combination of chemical screening with traditional genetic approaches offers a new strategy for identifying drugs and drug targets to attenuate hearing and balance disorders. You can also read more about the project in a feature by Shirley S Wang in the Wall Street Journal. About Professor Ed Rubel: Professor Rubel is the Virginia Merrill Bloedel Professor of Hearing Science at the University of Washington. He was the founding Director of the Virginia Merrill Bloedel Hearing Research Center and is currently the Scientific Director. Professor Rubel’s work is geared towards understanding the development, plasticity, pathology and potential repair of the inner ear and auditory pathways in the brain. His work throughout the years has focused on the cellular processes underlying the development of the auditory system and how these processes are influenced by early experience. 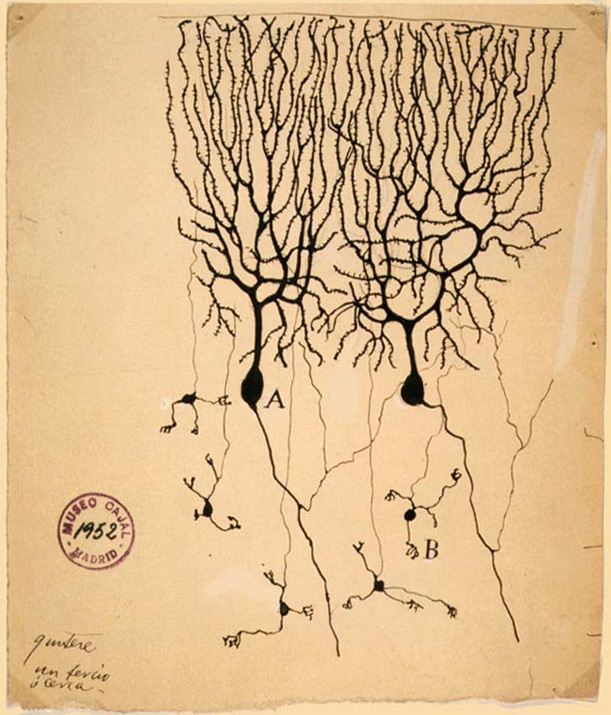 Santiago Ramón y Cajal originally described spines in the dendrites of neurons in the cerebellum back in the late 19th century, but it wasn’t until the mid 1950’s with the development of the electron microscope that these structures were shown to be synaptic structures. 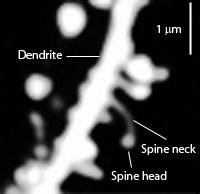 Although it has been known that the number of dendritic spines changes during development and in association with learning, most studies have inferred the changes by looking at static time points rather than monitoring individual spines in the same animal over time, partly, due to the difficulty of tracking a single structure of about 0.1 micrometer in size (0.0001 mm). But new advances in imaging technology have allowed researchers to ‘follow’ individual spines over time both in vitro and in the whole animal. Dendritic spines are no longer thought of as the static structures of Ramón y Cajal’s (or even my) generation, but rather dynamic structures that can be added and eliminated from individual dendrites. And because each spine is associated with a synaptic input, and because their structure and dynamic turnover is known to have a profound effect on neuronal signaling, one cannot but be tempted to propose that they are associated with specific aspects of memory formation. Two developments have made it possible to monitor individual dendritic spines at different time points in the same animal: the ability to incorporate fluorescent molecules into transgenic mice that make the spines visible under fluorescent illumination, and the development of in vivo transcranial two photon imaging that allow researchers to go back to that individual dendrite and monitor how the dendritic spines change over time. Two papers published in Nature make use of these techniques to look at how dendritic spines change in the motor cortex of mice that have learned a motor task. In one, Guang Yang, Feng Pan and Wen-Biao Gan looked at how spines changed when either young or adult mice were trained in to learn specific motor strategies. They observed that spines underwent significant turnover, but that learning the motor task increased the overall number of new spines and that a small proportion of them could persist for long periods of time. They calculated that although most of the newly formed spines only remained for about a day and a half, a smaller fractions of them could still persist for either a couple of months or a few years. Based on their data they suggest that about 0.04% of the newly formed spines could contribute to lifelong memory. Another study by Tonghui Xu, Xinzhu Yu, Andrew J. Perlik, Willie F. Tobin, Jonathan A. Zweig, Kelly Tennant, Theresa Jones and Yi Zuo did a similar experiment, but using a different motor training task. Like the Yang group, they also saw that training leads to both the formation and elimination of spines. Although newly formed spines are initially unstable, a few of them can become stabilized and persist longer term. Further, training made newly formed spines more stable and preexisting spines less stable. The authors interpret their results as an indication that during learning there is indeed a ‘rewiring’ of the network and not just addition of new synapses. The two papers were reviewed by Noam E. Ziv & Ehud Ahissar in the News and Views section. Here they raise the issue that, if such a small number of spines are to account for the formation of stable memories, then what are the consequences of the loss of a somewhat larger number of spines on the neuronal network? Because the synapse is so large, there are numerous sites of contact where the neurotransmitters are released, which will happen whenever an action potential reaches the synaptic terminal. Because of this, it has always been thought that these synapses never fail to produce a response (action potential) on its target (postsynaptic) neuron, that is, that it is a fail-safe synapse: every time that there is neurotransmitter release, the postsynaptic neuron produces an action potential. Jeannette Lorteije, Silviu Rusu, Christopher Kushmerick and Gerard Borst examined precisely this, and they did so in a series of really elegant experiments in mice. They examined whether the discrepancies in the data regarding the degree of reliability at the enbulb or calyx of Held could be attributed to different methodological approaches or differences in the interpretation of the raw data. To examine this they did a series of recordings from cells in the Medial Nucleus of the Trapezoid Body (MNTB), which is part of the mammalian auditory system. The authors conclude that that there is a significant incidence of failures of transmission at this level of the system. This is in contrast with the results reported by Bernard Englitz, Santra Tolnai, Marey Typlt, Jürgen Jost and Rüdolf Rübsamen. Here the authors recorded the failure at the endbulb of Held in the auditory cochlear nucleus AVCN and the calyx of Held in the MNTB in mongolian gerbils. They report that although failures of transmission were often found in AVCN, this was not the case in MNTB. Synaptic structures analogous to the endbulb or calyx of Held are found in neuronal circuits that require high temporal precision. In the auditory system high temporal resolution is necessary for the measurement of interaural time differences, which in mammals are used to localize low frequency sound in the horizontal plane. Benedikt Grothe has argued that low frequency hearing appeared later in mammalian evolution, and that anatomical differences in a nucleus that receives inputs from the MNTB and is involved in the detection of interaural time differences (MSO) reflect this evolution. He argues that although MSO may have evolved to detect ITDs in low frequency hearing mammals (such as gerbils), its function may be different in higher frequency hearing mammals. On therefore wonders whether the differences in the data between the two studies may be related to adaptations associated with different temporal processing requirements in mammals with different frequency hearing ranges. What did Lorteije and collaborators do? In order to decide whether there are times in which synaptic release fails to elicit an action potential on the target cell, one needs to simultaneously monitor the activity happening at the synapse as well as at the postsynaptic neuron. There are traditionally two ways of doing this: One is to record the currents near the synapse that are produced by the electrical activity of the synapse and the cell, and the endbulbs of Held are large enough to produce sufficient current that can be detected. The other is to actually record the activity simultaneously from the cell and the synaptic terminal, which is usually done in an ‘in vitro’ preparation. in vivo there is no observable short term synaptic depression. The synaptic depression observed in vitro may be partly due to the concentration of Calcium in the bathing solution, but other factors may be involved. 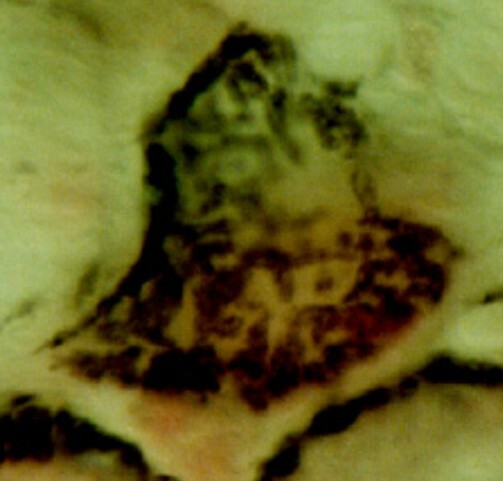 They also found that the release of neurotransmitter at the synapse often failed to produce an action potential in the postsynaptic cell. A similar rate of failure to that observed in vivo can be obtained in vitro by lowering the calcium concentration of the bathing solution. This is a carefully designed study, and despite my concerns as to whether their results are generalizable to other mammals, they do provide data that will be welcome by many auditory neurophysiologists. Their ability to record from a patch in vivo is no small feat, and the correlation between intracellular and extracellular data is extremely useful. Further, there is a cautionary tale around the way that data obtained from in vitro data can be interpreted. This has been a busy week, but I managed to get some reading in anyway. I loved this article in PLoS Computational Biology (Getting Started in Gene Expression Microarray Analysis) by Slonim and Yanai. It is a great “do’s and don’t’s” of the technique. I love articles that spell out techniques I don’t have personal experience with, because they give me the information I need to be able to make a critical assessment of the literature that make use of them. I will be coming back to this article a lot! I was asked in an interview recently about “open source science” and it got me thinking about the ways that, in the “open” communities of practice, we frequently over-simplify the realities of how software like GNU/Linux actually came to be. Open Source refers to a software worldview. It’s about software development, not a universal truth that can be easily exported. And it’s well worth unpacking the worldview to understand it, and then to look at the realities of open source software as they map – or more frequently do not map – to science. And that was enough to hook me. Very interesting read. Misha (from Mind Hacks) has a great post on brain stories and neuronovels, or about how neuroscience is seeping into literature. The post is a comment on a story by Marco Roth (n+1) which is a must read for those that love both literature and the brain. My favourite tweet this week is by @gnat, pointing to the historical thesaurus of the Oxford English Dictionary. Lust, indeed!